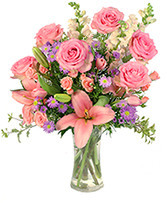 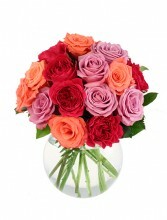 medium stem rose classic way to capture your love's heart this Valentine's Day. 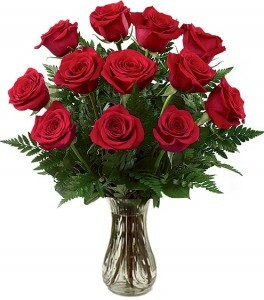 Beautiful red roses are the most eloquent way to proclaim a grand passion.Standard: 12 Roses. 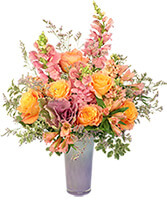 Lavender Ombre Vase, Leatherleaf, Variegated Mini Pittosporum, Ornamental Kale, Peach Stock, Pink Snapdragons, Pink Alstroemeria, Orange Roses, Purple Limonium.